We have such a mixture now, such a fusion of different genres. 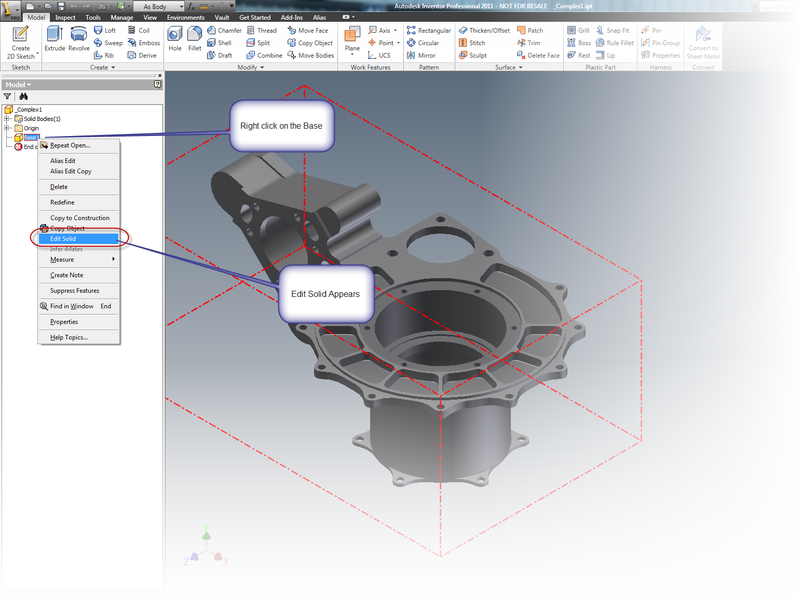 One of the new Features that''s often mentioned in Inventor 2011 is the ability to use Inventor Fusion to edit base (often referred to as 'dumb') solids for Inventor. It's great that we know it can be done, but how about how it can be done! 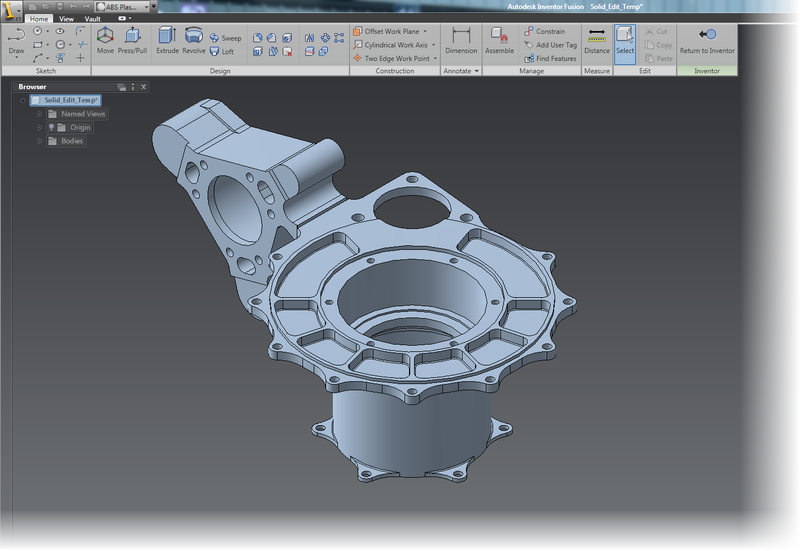 It's also available from the Autodesk Labs website HERE. Finally, it's also available on the subscription website if you opted to download your 2011 software. Click HERE (login required). It's not hard if you know where to look. The first step, is to to go to Application Options, and on the Part tab, make sure you set Base Solid Editing to 'Inventor Fusion'. Inventor will tell you it's switching to Inventor Fusion for it's solid editing functions. 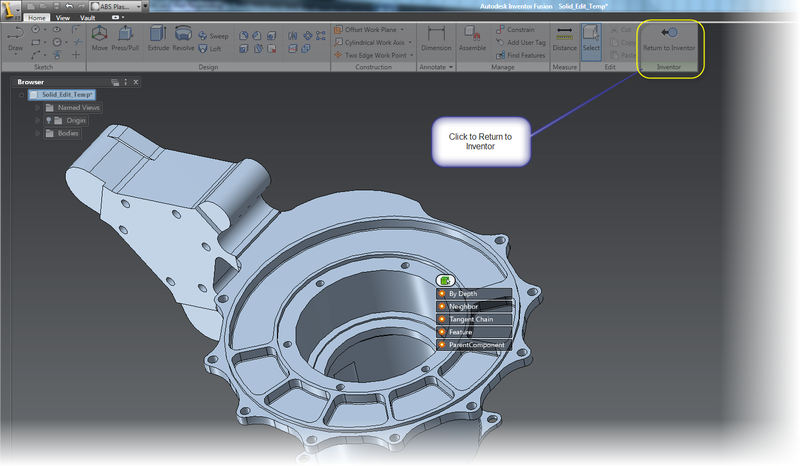 Now Inventor will close and Inventor Fusion will open, allowing you to edit the part using all of Fusion's capabilities. 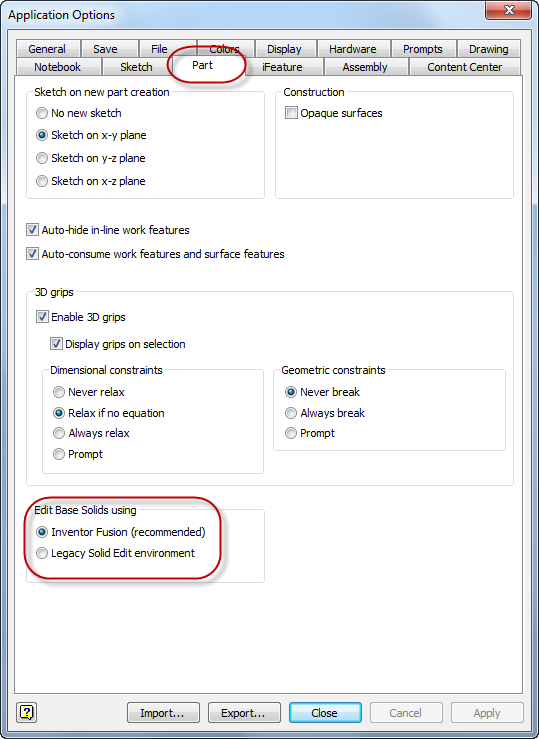 When you're done, click the icon to return to Inventor, and the solid will be back into Inventor, ready to go. And that's it. 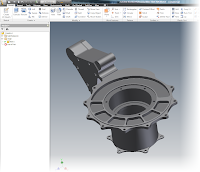 Using Inventor Fusion to edit your solids. If you want more info on Fusion, look back to this blog. Schedule permitting (I have to put in that disclaimer), I hope to put some info on that later this week. But you can also find info on Fusion from Rob Cohee's Youtube Channel! Check it out HERE! Thats it for now. I have a new assignment to start working on tomorrow, so I want to be rested up! Hide, Seek, and Find in Autodesk Vault.